This delightful ensemble of savory snacks is the perfect way to start an evening of entertainment. 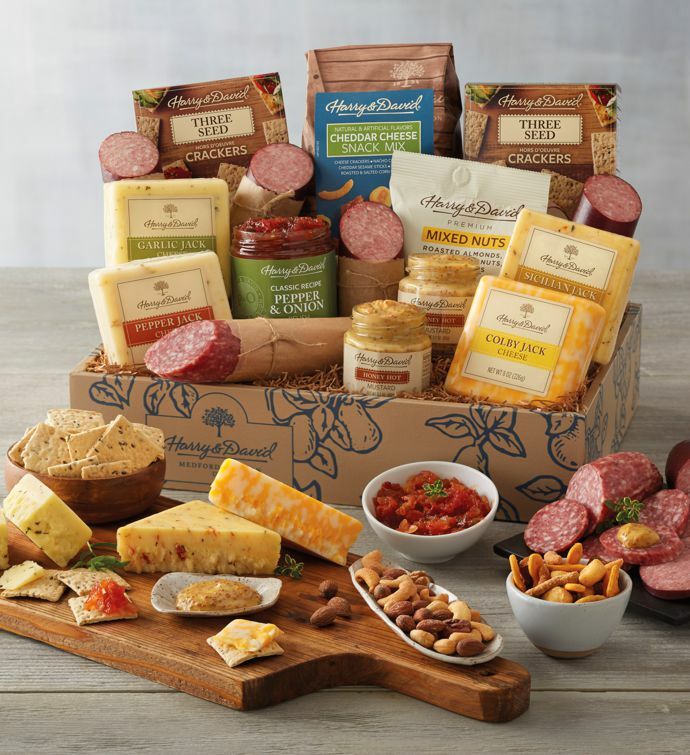 Whether you're hosting a party for a big game or setting out hors d'oeuvres for an elegant reception, guests will delight in this array of fine sausages, robust cheeses, and expertly crafted snacks. This gift is also a wonderful way to surprise distant family or friends on birthdays, holidays, and anniversaries.